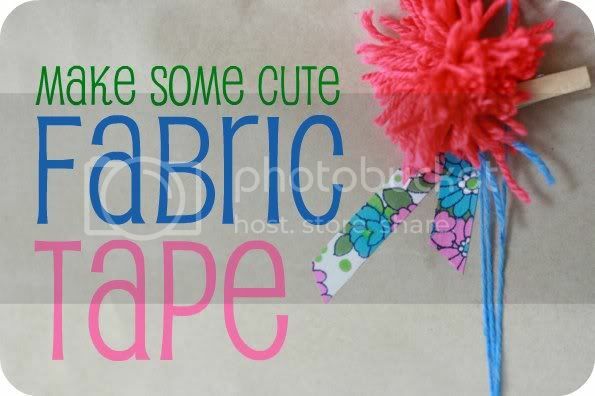 This handmade fabric tape is easy to make with just a few scraps of pretty fabric. 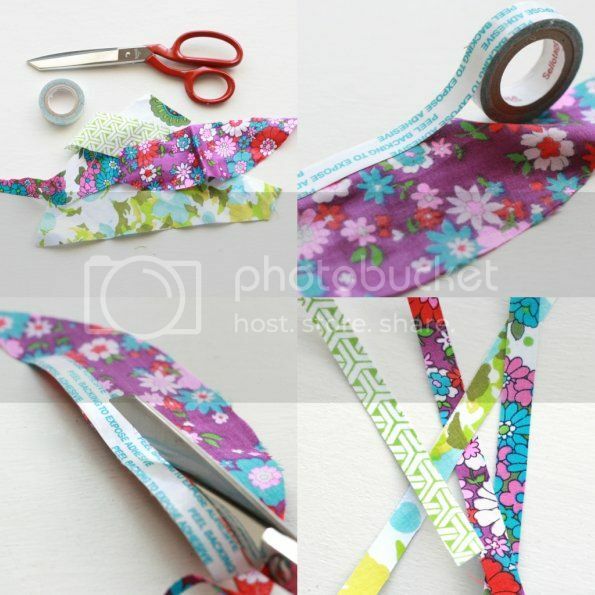 Use it to embellish scrapbook projects, gift wrapping or anything else you would use normal adhesive tape for. We've even been known to use small pieces as doll band-aids. Tune in tomorrow to see how I've used the tape to embellish my Christmas gifts.